A self-contained enclave complete with idyllic pathways and landscaped gardens, the Corinthia Palace Hotel & Spa in Malta is a sanctuary for those looking for peace and tranquility. Offering the perfect environment to de-stress, relax and unwind; the Corinthia Palace Hotel Malta has everything the discerning traveller needs. One of the main attractions of the Corinthia Palace Hotel & Spa in Malta comes in the form of the Athenaeum Spa which offers top-quality spa facilities and treatments. The Corinthia Palace Spa offers an experience like no other, providing more than 20 different types of holistic therapy. With beauty treatments ranging from the classic facial and body care to anti-ageing remedies and rejuvenation treatments; you can kick back and relax in the luxury that is the Corinthia Palace Hotel in Malta. All guests of the Corinthia Palace have complimentary use of the indoor pool, sauna garden, fitness centre and tennis court. Children under the age of 16 are to be accompanied at the Spa and indoor pool. Overlooking the simple splendour of the exceptional landscaped gardens, the 150 guest rooms, including 9 executive suites, feature a double bed or two twin beds and balconies complete with furniture for those quiet days in. All rooms and suites have direct phone lines, safe, hair-dryer, cable TV, trouser press, tea and coffee making facilities and Free Wi-fi. The whole hotel is non-smoking. Executive rooms include a complimentary local daily newspaper, free use of mini bar (water/beer/soft drinks/wine) and 20% off spa treatments. Room service is also available. Disabled Facilities: We do not consider this property to be suitable for clients with mobility difficulties. The hotel is located in an exclusive residential district in the centre of the island and next to the Presidential Palace and the lovely San Anton Gardens. Nearby streets are lined with characterful houses and local villages offer many architectural gems, including St Mary’s parish church - built in 1616 and regarded as one of the finest Renaissance monuments on the Islands. The capital Valletta, the old capital Mdina and the nightlife capital St Julians are all only around 5km away. You'll find an outdoor car park and free public parking just 40m from the hotel. A public bus stop is situated near the accommodation. Complimentary coach services are available to and from the hotel and Valletta, Sliema, Marsa golf club and the Corinthia Beach Resort St. George`s Bay (summer period only). The hotel is widely renowned for its fine cuisine and dining options are varied and exciting. The Corinthia Room is Malta's most elegant restaurant where excellent food is complemented by impeccable service. 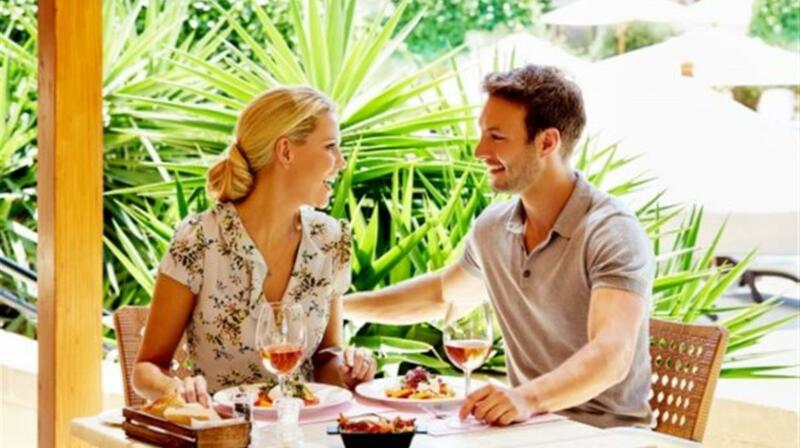 Appetizing lunches are served at the Orange Grove as well as under the shade of the canopied terrace of the Pool Garden al Fresco Restaurant in the summer months. You could also experience the excellent Rickshaw, a far eastern restaurant serving exquisite dishes from China, Indonesia, India, Malaysia, Singapore, Thailand and beyond. Children under the age of 16 are to be accompanied at the Spa and indoor pool. Any meal services as described are only a guide and may change without notice. Folding or put-u-up type beds may be provided when 3 are sharing a room. The hotel dress code may not allow shorts or sleeveless tops in their restaurant during dinner. Some facilities may incur a local charge. We have no control over listed services and facilities; they are listed for guidance only and may be withdrawn or amended without prior notification. Please note, hotel bedroom and outlook images are for illustration only. Holiday accommodation varies and the rooms allocated may differ to the images shown. Children are not allowed in the New Year's Eve Gala Dinner. Swimming pool notes: children should be accompanied by an adult at all times. There is no lifeguard. Outdoor facilities may, at times, be closed in winter. "Very satisfied with all aspects of Chevron From first booking to all help I received. Thanks to Rep George for dealing very satisfactory with help we needed while in Malta All in A very competent company in Chevron and a very good Hotel with all staff courteous. " "Excellent hotel it really was 5 star could not find any fault at all only praise for everyone and everything. " "Hotel clean staff very friendly professional and helpful." "The service and facilities at this hotel were first class. 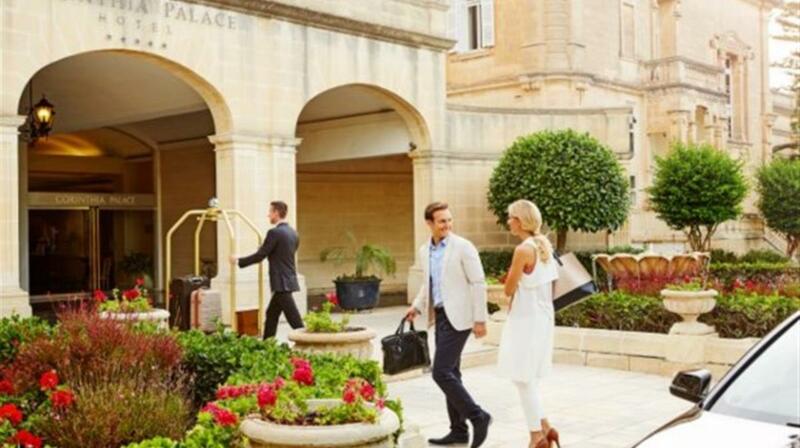 Located near bus stops and next to the Palace Gardens it is in an ideal position to explore Malta. Fantastic food and great sauna and steam room which were free to use. Lovely room serviced twice per day. Lovely staff and truly a home from home." "Excellent in all respects. Staff were outstanding and couldn't do enough for us. Hotel is very central on the island and peacefully located so out of the main heavily-built up area but with good connections to other parts of the island. We did not go for the half-board package but this represented very good value." "Excellent hotel very good service and facilities. We were not given a welcome pack when we arrived as stated in the holiday documentation. Only a note from the rep with a telephone number if we have a problem delivered to our room on day 2. However the taxi service was excellent to and from our hotel." "We would like to thank you all at Chevron for a first class holiday. All that was promised was delivered the Corinthia Palace Hotel was superb the Staff could not have been more polite helpful and smart. The whole experience was hassle free and probably the best holiday we have had. Congratulations to all concerned and we would recommend your company to everyone. " "We had a great time in Malta at the Corinthia Hotel fantastic service and staff looked after us we would like to go back. " "Great Hotel been there many times before. Booking our holiday was simple with Chevron and it was great having the check in done for us. It was also a nice surprise to see that we had been put in the Priority Queue both ways. When we arrived at our Hotel our boarding passes for the return journey were waiting for us so we didn't have to worry about them."